Like many other business owners, you may think that blogging takes up too much time and doesn’t give you the benefit you deserve – but we’re here to emphasise the importance of having a blog feed on your site. Customers don’t want to be bombarded with information which they don’t understand, whether it be complicated jargon or a bulk of text which means something to you, but not necessarily to them. By presenting your potential customers with information through relevant blog posts, the ones which are keen to learn more before making a purchasing decision are able to do so, and the customers which are happy to just trust your expertise can continue to do so. There’s no better way to answer your visitors’ questions and relieve their worries than to release blog posts. After all, a purchase from you, no matter how big or small, is still an investment for the customer which needs to be carefully thought through. If they have unanswered questions, they will begin to question how reliable your company is and may end up finding the answers elsewhere. It is therefore a good idea for you to make a note of frequently asked questions (FAQs), whether this be a section of your site or from other forms of communication with customers, and structure your blog posts around these. This will make the purchasing decision quicker and save you time, as you won’t have as many questions to respond to. Not only does blogging give your customers the information they require, it also shows them that you know your stuff! Even if visitors to your site don’t spend hours reading all your blog posts, they can see from briefly reading over your feed that you are knowledgeable in your industry, which gives them confidence when choosing to buy your products or services over competitors. If visitors can see that you are posting new blog posts fairly regularly, they are made aware that your site is active and being constantly updated. This will prevent visitors and potential customers from finding your site, thinking that it is old and that you may not be in business anymore, and leaving. If you’re site is dead with no content being added, you run the risk of losing customers and money – of course, not something you want! The great thing about using blog posts to engage customers and show that you are active rather than using other advertising methods is that the only cost is your time, you can write your own blog posts which cost nothing and can do wonders for your business. If you are not confident in writing your own, however, you could consider letting a marketing or copywriting agency do the hard work for you, still costing much less than other marketing methods. If you are knowledgeable in SEO (Search Engine Optimisation) then you will likely already appreciate the benefits of blogging for rankings. If this does not apply to you, here is a brief insight to give you a better understanding of the effects. The visibility of your site on Google and other search engines should be of utmost importance for your business, enabling your site and brand to become more well-known and allowing potential leads to find your website before they make the decision to use the products/services from competitors rather than yourselves. This visibility on Google is referred to as SEO, meaning that with the right techniques, you should be able to rank within the top few positions for your primary keyword(s), enabling your audience to find you. So how does this relate to blogging? Well Google (along with other search engines) are always on the lookout for fresh content and are constantly monitoring the web, adjusting ranking to correspond with their guidelines. If you don’t have fresh content on your site, you will find it harder to rank highly on Google in some niches, and even if you do manage to achieve one of the top positions, it is likely that you will lose your place as Google releases new algorithms to change the factors they use to decide ranking positions. Many people browse the web for solutions, so by beating your competitors in offering visitors the solution they are looking for relevant to your products/services, you are giving yourself more chance of gaining that customer rather than losing them to someone else. A potential customer is likely to carry out the necessary research they need to feel confident in buying before they actually make a purchasing decision. Therefore, by posting a relevant blog post which answers the questions they have, you are showing that you care for your customers and that your site is trustworthy and legitimate, which is much more likely to lead to visitors purchasing from you. 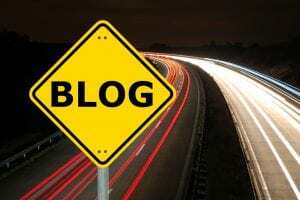 Now you know the extent to which blogging can positively affect your business, is it time for you to set up a blog feed? Open your doors to the web and give your potential customers the information they are looking for in order to gain their trust and encourage them to buy your products or services. 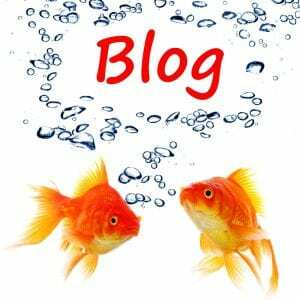 Blogging can also be a great way to inform customers of new products, events, or any exciting new ventures for your business, building up a relationship with visitors and showing how fantastic your business is! At SEO CoPilot, we are SEO and Web Design professionals, and can give you all the guidance you need on creating the perfect blog feed for increasing your online presence and attracting potential customers to your business. We love to help, so if you are in need of more information please don’t hesitate to get in contact on 01246 556 565 or fill in the contact form below.